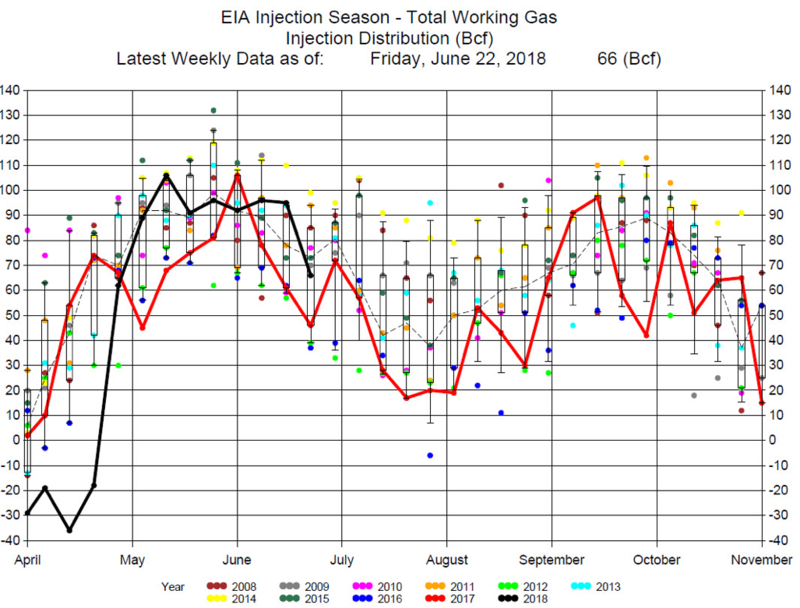 The EIA reported a 66 bcf Injection for the week ending June 22, 2018. 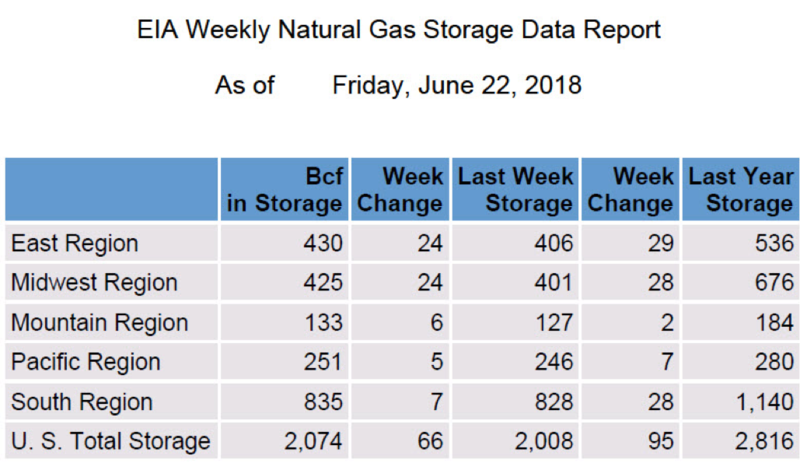 The 66 bcf injection was below average, 71. for this week of the year, and less than the average of expectations at 71 bcf injection, with a range of a 58 injection to a 77 bcf injection. 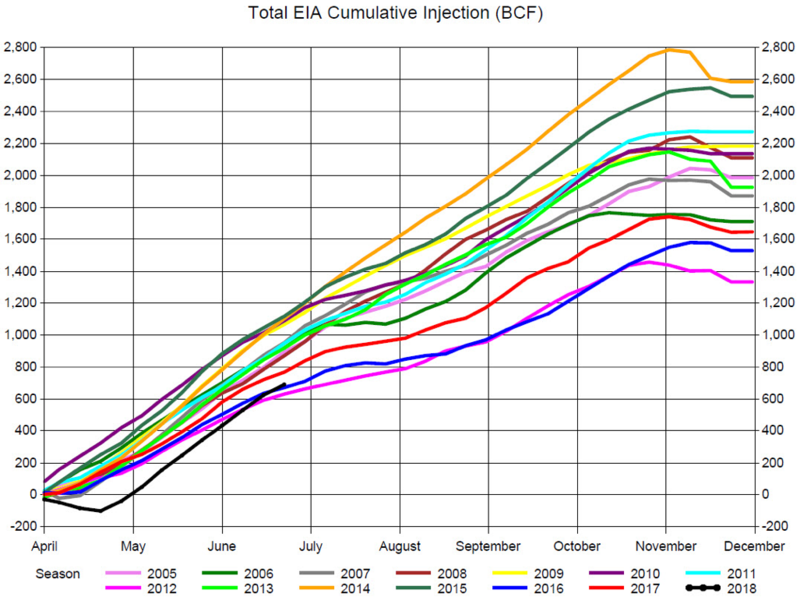 Analysts are still hoping for some +100 bcf injections in September to reach 3,500 bcf by November. 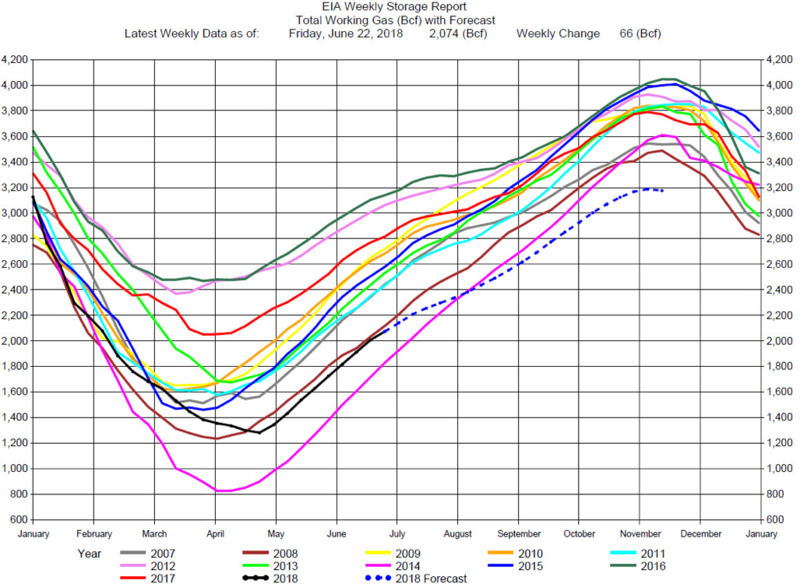 We believe that is a stretch, and even if that were to occur, it would be difficult to attain 3,500 bcf by November. Surprisingly, prices fell with the release of the report and traded lower through the trading day, ending near the lows for the day.